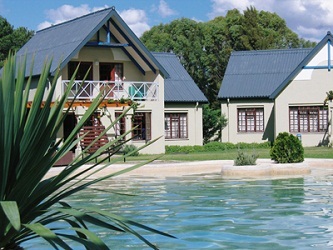 ATKV Goudini Spa is a 4 star property in Rawsonville (Worcester, Western Cape) that offers accommodation in four bed rondavels, slanghoek villas, duplex self-catering flats and a caravan park. Worcester is ideally located only 96km away from Cape Town which offers a few things to see and do including visiting the many restaurants and shops in close proximity, hiking, mountain biking, sailing, deep sea fishing, parasailing, bird watching, game viewing, V&A Waterfront, Boulders Bay, Two Oceans Aquarium, take a cruise to Robben Island, City Centre, Camps Bay, Bo Kaap, Boulders Beach, Constantia Wine Route, Cape Point Nature Reserve and Kirstenbosch Botanical Gardens. 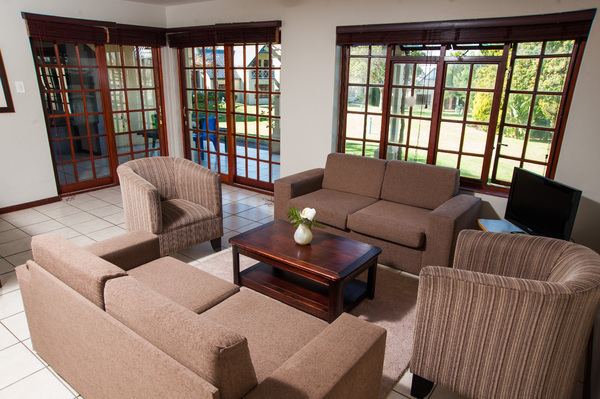 This 4 star property offers accommodation in four bedroom rondavels that come fully equipped with one bedroom, double bed, bathroom, TV (DSTV), braai facilities, microwave, fridge, fan and toaster. The duplex flats offer two, four or five bed flats with double or single beds, kitchen, bathroom and veranda. 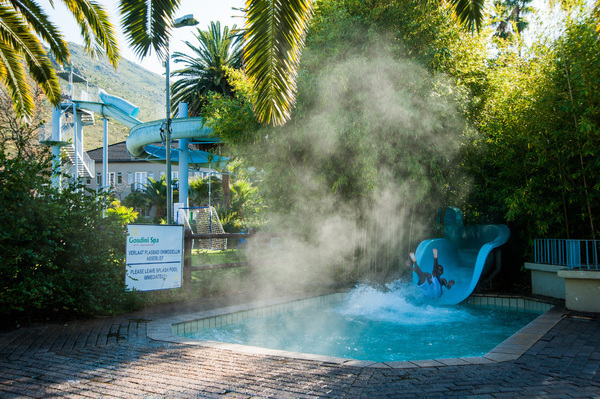 The caravan park offers 54 stands with powerpoints, ablutions and braai facilities. 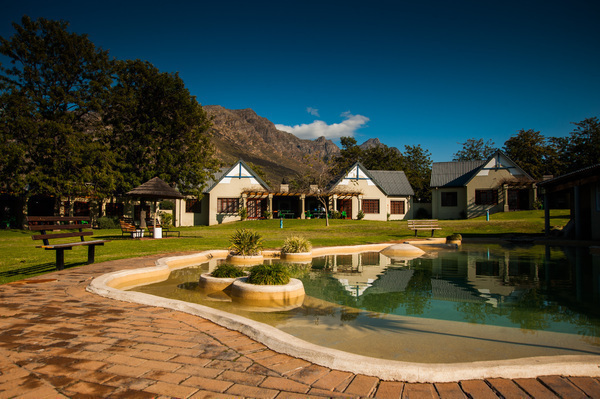 The slanghoek villas can sleep six and come with three bedrooms, two bathrooms, living area, lounge, veranda in each room, fireplace and braai facilities. 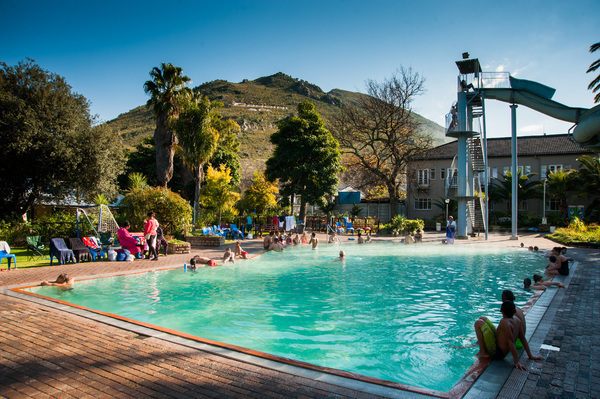 ATKV Goudini Spa also offers conference facilities for up to 800 delegates, supertube, tennis courts, lapa, games arcade, Jacuzzi and mineral pools, indoor and outdoor pools, Laundromat, trampoline and putt putt. 18 six/eight-sleeper units with a three-star grading: These units are built in a circle and are separated from each other by garden walls. 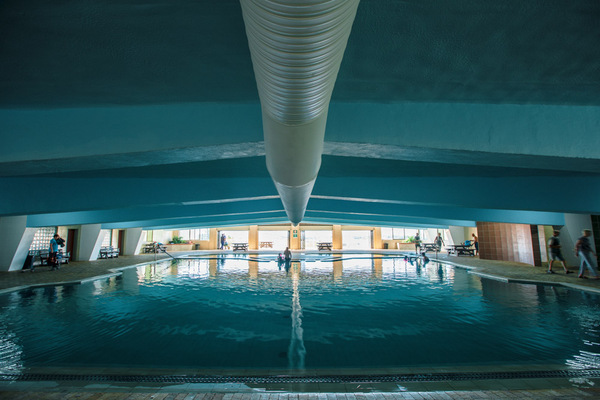 All units face a central swimming pool in the shape of an ocean pool, filled with natural spring water. 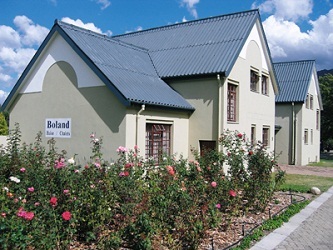 Braai facilities and a lapa make the Boland complex ideal for conference groups. 3 two-sleeper units: Open-plan kitchen/living area with two single beds. Bathroom with bath, washbasin and toilet.1 three-sleeper unit: Open-plan kitchen/living area with three single beds. Bathroom with bath, washbasin and toilet. 1 four-sleeper unit: One bedroom with two single beds, and a kitchen/living area with two single beds. Bathroom with bath, washbasin and toilet. 2 six-sleeper units: Two bedrooms with three single beds each. Kitchen with serving counter, dining table and chairs. Bathroom with bath, washbasin and toilet. 22 luxury six-sleeper units with a four-star grading: These units consist of one bedroom with a double bed and two bedrooms with two single beds each. One bathroom with bath, toilet and washbasin, and a second bathroom with shower, toilet and washbasin. 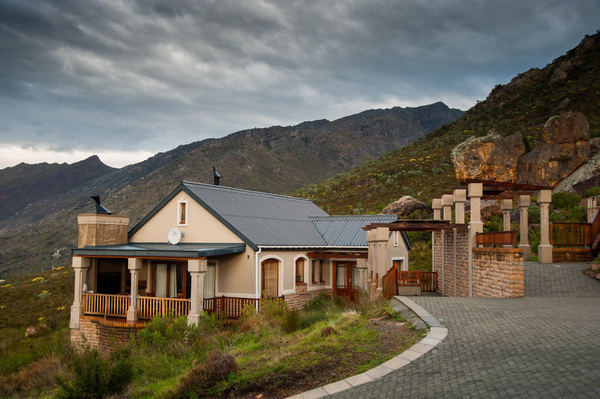 Air conditioning in the master bedroom and living area, fireplace in the lounge, and covered braai on the veranda. In addition, each bedroom has a private veranda. 8 six-sleeper units with a four-star grading: One bedroom with double bed and another two bedrooms with two single beds each. One bathroom with bath, toilet and washbasin, and a second bathroom with shower, toilet and washbasin. Air conditioning in the living area. 101 four-sleeper units with a two-star grading: One bedroom with built-in double bed and a kitchen/living area with two built-in single beds. Bathroom with shower, washbasin and toilet. 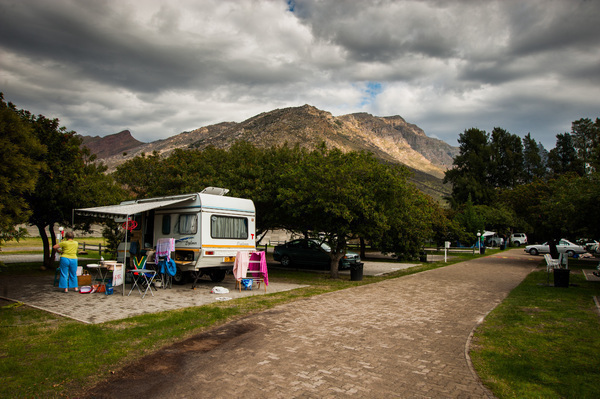 Our caravan and camping site carries a three-star grading from South African Tourism and consists of 54 paved stands, each with a 15 A power point and private braai. 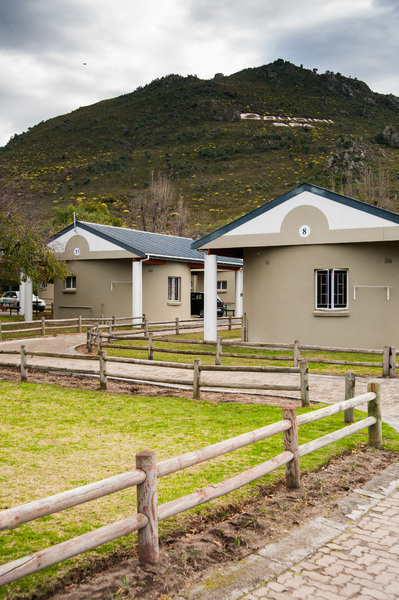 Well-kept ablution facilities, washing-up facilities and laundry. Cancellations longer than 30 days before the date of arrival will forfeit 25% of the required deposit.Cancellations between 16 to 29 days of the date of arrival will forfeit 50% of the required deposit. Cancellations between 0 to 15 days of the date of arrival will forfeit 100% of the required deposit. In the event of cancellation as a result of death (or other acceptable reasons beyond the control of the party involved) only an administration fee of R61 will be charged upon submission of substantiating evidence. for ATKV Goudini Spa Holiday Resort.